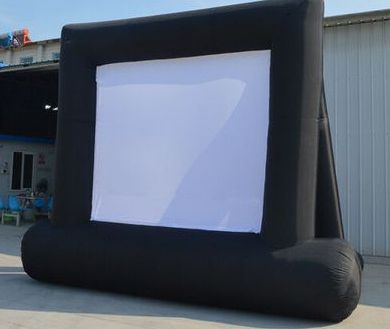 Our 27 ft Inflatable Movie Screen is great for your gatherings, this is a great screen for movie nights at your school and other outdoor event. Everything needed to play your favorite movie! Our equipment paired with your backyard, field or lot is sure to result in an extraordinary experience for all your guests, family and attendees. Your rental will include everything to host the perfect outdoor movie night – outside under the stars!! This screen is perfect for parties from 30-500 viewers! Standard rental time is up to 3 hours. Feel free to contact us about all night marathons! Set up is typically 30 minutes before sunset and breakdown 30 minutes after the movie. Don't forget: our popcorn machine or other concessions are specially priced with your movie rental! Need power? 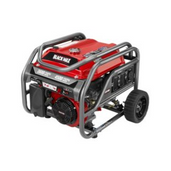 We're happy to discount a generator with this rental. We've priced it special for this rental! Sno-cones on a summer movie night would be FANTASTIC! Special Pricing for this rental! Cotton Candy sure would be GREAT for movie night! Need Power? We have generators at special pricing for this rental!